That's right, for those who haven't gained access to the beta of Diablo 3 but desperately wants to, here's your chance. Blizzard recently announced that today (April 20) would be the start of the Diablo 3 open beta weekend, and they will open the doors to anyone with a Battle.net account, especially the many diehard fans out there. The open beta weekend, as its name suggests, will be opened for this weekend only (duhh) and will end on April 23, 10am PDT in which you will be able to play the five heroic classes up to level 13. However, do be prepared for (if any) lag or glitches because after all, it's primarily still in beta. 1) Login or create a Battle.net account here. 2) Create your BattleTag if you haven't had one. 3) Download the beta client and you're set to go! -Asiasoft to hold official Diablo 3 launch event in Singapore, Funan IT Mall. 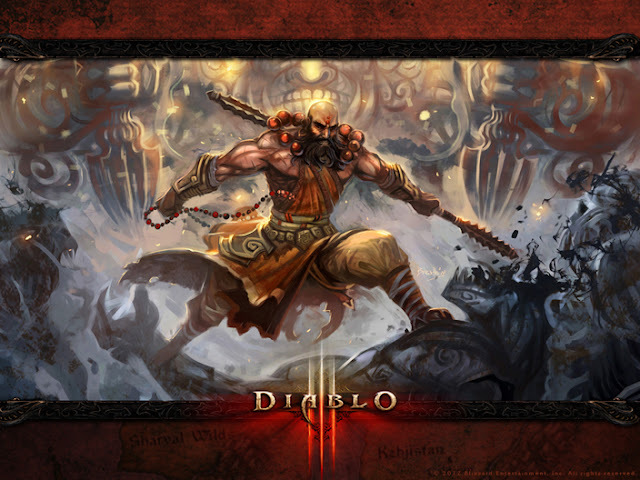 -How you can pre-order Diablo 3 if you're from South Eash Asia. PS. Diablo 3 beta ends on May 1 while Diablo 3 releases May 15.